You won't know the facts until you've seen the fiction. 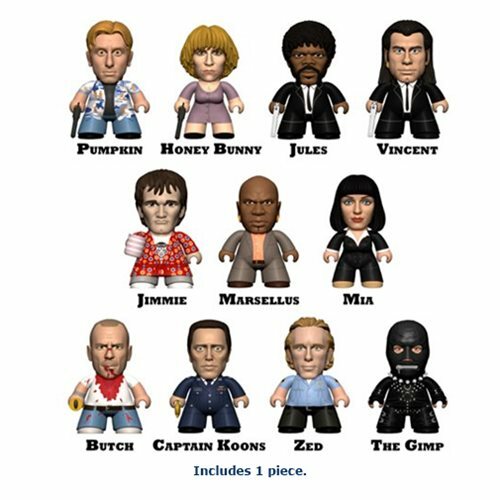 From the cinematic mind of Quentin Tarantino comes Titan Merchandise's first series of Titan mini-figures based on his work - The Pulp Fiction Collection. This series features characters from all three of the intertwining stories in this cult classic. Collect homicidal lovebirds Pumpkin and Honey Bunny, lethal conversation-loving hit men Jules and Vincent, dance-trophy demanding gangster's moll Mia, even Tarantino himself as Jules's helpful pal Jimmie!